A log store makes for a fun, interesting and rather different kind of addition to a garden. Sure the main purpose of something like this is for those of you who have some kind of wood burner and want a good supply of wood, but actually a log store can be used for many things and let’s face it they do certainly look good. Anyway, today we have been putting the ten biggest log store retailers in the UK through their paces and coming up with this epic, top ten log store retailers list. By the end of this list you will know who has the best selection, what site is the easiest to use and what site should be top of your list for purchasing a log store. as much a feature as they are a place to store wood. No matter what kind of log store you are looking for, we would bet that you will find it here. The site is also very easy to look around and they aim to get your log store to you within a week so in all this is a site that really is well deserving of the top spot and honestly, we see this as being the place the majority of you reading this will purchase your log store from. a few ideas for extras on most of their log stores and the info and pictures are great so you get a very good idea of what you are going to be getting. 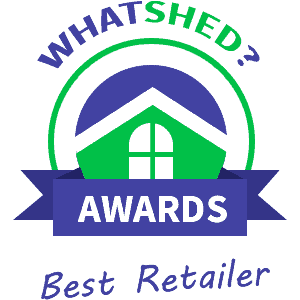 All in all, we feel that this is a top website and to be honest with you it was very close between this and Buy Sheds Direct as they are both very similar with their log store collections. so you will not have any issues browsing their site at all and they do give some good information about each log store, but a couple more pictures would not have hurt. They have awesome customer service and they aim to get your log store to you within ten days which is nice. you a headache. It is a very friendly website so getting in touch is going to be hassle free and looking around it we feel is very easy to do. They also claim that they have a 2-7 day delivery time which is just awesome. on a rather tight budget, but want something that is still of a decent quality, then B&Q is worth a look. Each log store has a detailed and easy to understand description as well as multiple pictures, which is something we always like to see. Out of all the large DIY chains, B&Q us by far the best when it comes to log stores. honest we are not sure how we feel about, as we just wanted to look at log stores and these extra items may confuse some people. The site has a wealth of information for you to digest and you really can learn a lot about each log store thanks to this info and the decent amount of pictures. exactly what you are getting. As well as this they make sure you know how it is going to look as they have used multiple pictures to show off each log store. So while the selection may be very small, the actual site is fantastic. well, but it is not as much as most of the other sites on this list have. While there is nothing wrong with the two log stores that Homebase offer, we do get the feeling that log stores are not something that they really care about. at all and finding the log stores was no hassle at all, but as there is only two on here and they are two that we have seen elsewhere, we really do not see too many people using Wickes as their go to place to purchase a log store. to use and if nothing else you can use them for their good descriptions on their different log stores, but we would recommend you see where else the log store is available from before you place an order here.